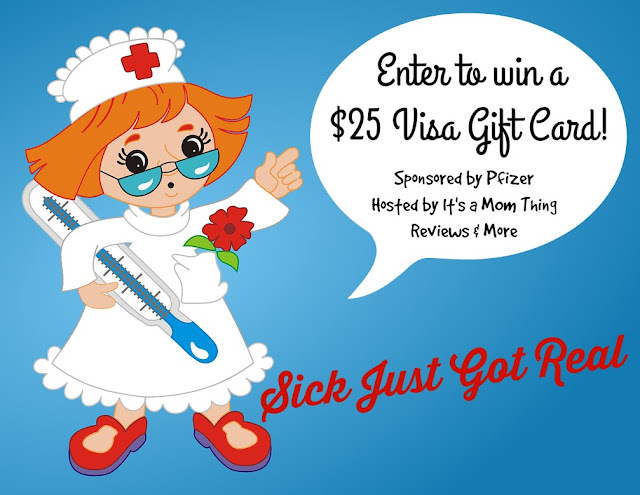 Win a $25 Visa Gift Card! Reviewz & Newz is not responsible for shipment of prize. Any parent absolutely could tell you that parenting can often be difficult, very difficult. Parenthood is absolutely life's biggest balancing act. Between busy schedules, meal prep, homework, messes, and more some days it feels like it is impossible to get a minute of me time. Life doesn't stop for moms to catch their breath when everyone is healthy, and it definitely doesn't stop when you add a sick little one to the mix. Enter below to win a $25 Visa Gift Card sponsored by Pfizer! With some me time, I would sleep in, take a long bath, read my books and relax!! With some free time I would grab some coffee and sit down to read a book. I'd finish the book I've been trying to read for a month! I would use some me time to just take a nice nap. That is the best me time that I can think of. I would like to relax on the couch and read. I would get a professional massage!